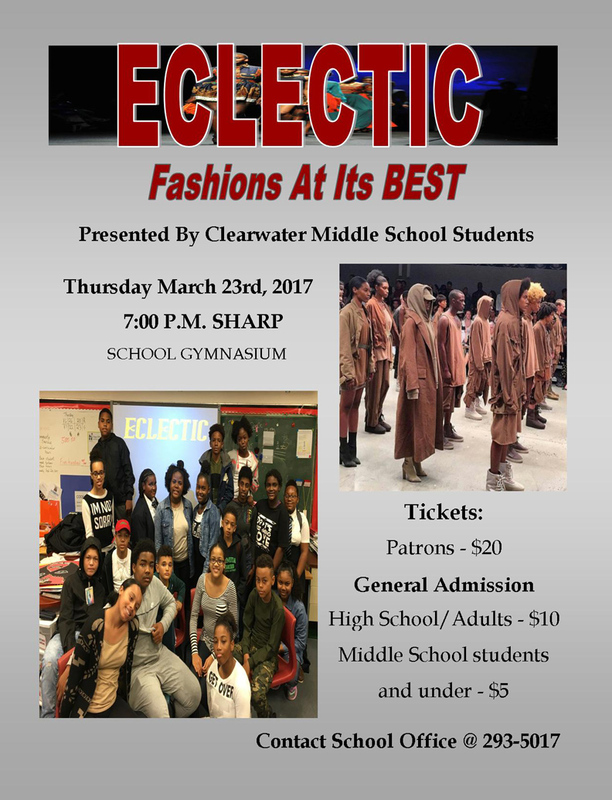 Clearwater Middle School students will be hosting a fashion show titled ‘ECLECTIC’ on Thursday, March 23 at 7.00pm in the school gymnasium. Tickets can be purchased at the school office or at the door. Students [middle school and younger] are $5, and senior school students and adults are $10. There will be refreshments on sale as well. For more information, please contact the school office at 293-5017.